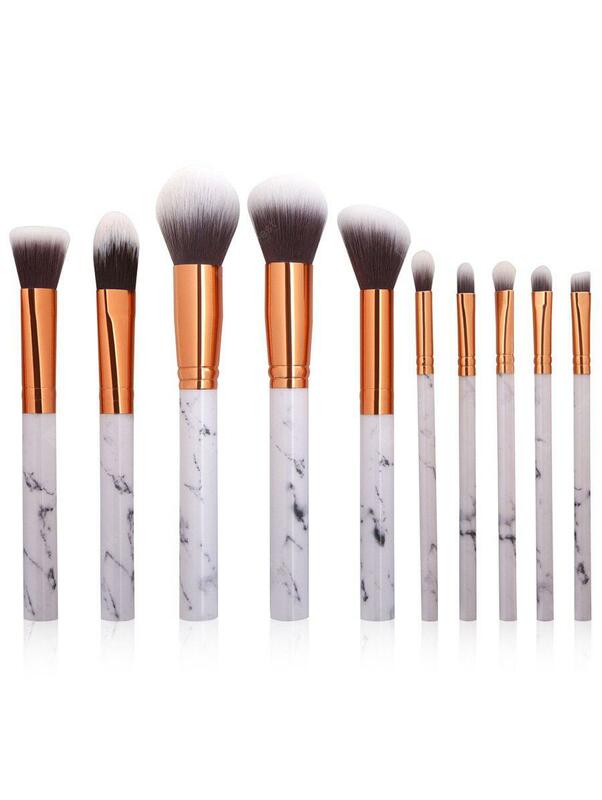 10Pcs Marbling Design Handle Makeup Brushes Set - WHITE w cenie $5.69 | Chińskie kupony rabatowe, zniżki i okazje! – It is a best pick for facial makeup. – These are Fluffy Bristles with soft and rounded bristles. Everything you need to create a flawless – and flirty look. – Suitable for both professional use and home use. – It is portable and convenient to use and carry. – Boost present your life taste. Easy to stick powder, natural color, rendering uniform.